Home / India / Tourist Places / Delhi / Jama Masjid, Delhi – The Largest Mosque in India ! 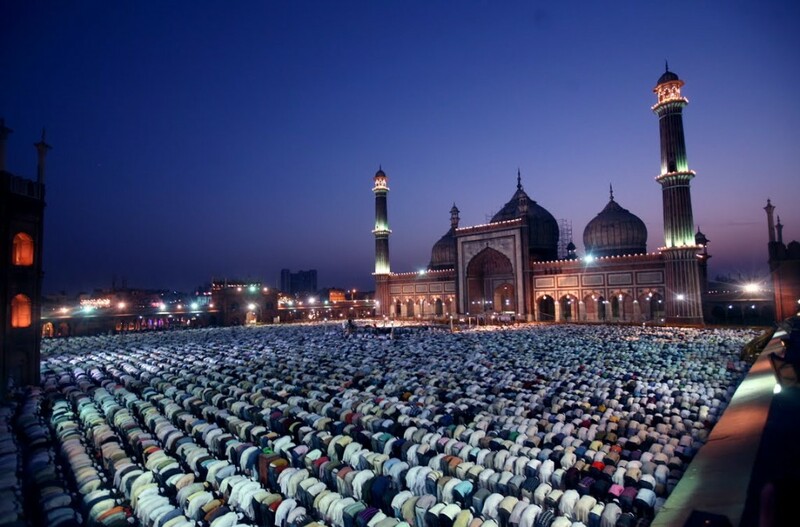 Jama Masjid, Delhi – The Largest Mosque in India ! Out of the several magnificent constructions of Shah Jahan, one is the Jama Masjid which was initially called the Masjid-e-Jahan Numa (the World reflecting Mosque). The largest Mosque in India, the Jama Masjid witnesses thousands of pilgrims everyday who visit to offer their prayer to God (The mosque has a capability of holding more than 25,000 devotees). It was the final work of Shah Jahan built between 1644 and 1656. The Mosque has three gateway four angle towers and two minarets standing 40 m high and is constructed of alternating vertical strips of red sandstone and white marble. 899 black borders are marked on the floor for worshippers. The beauty of Jama Masjid lies in its simplicity. The simplicity which thousands of colourful and gorgeous significance cannot withstand. 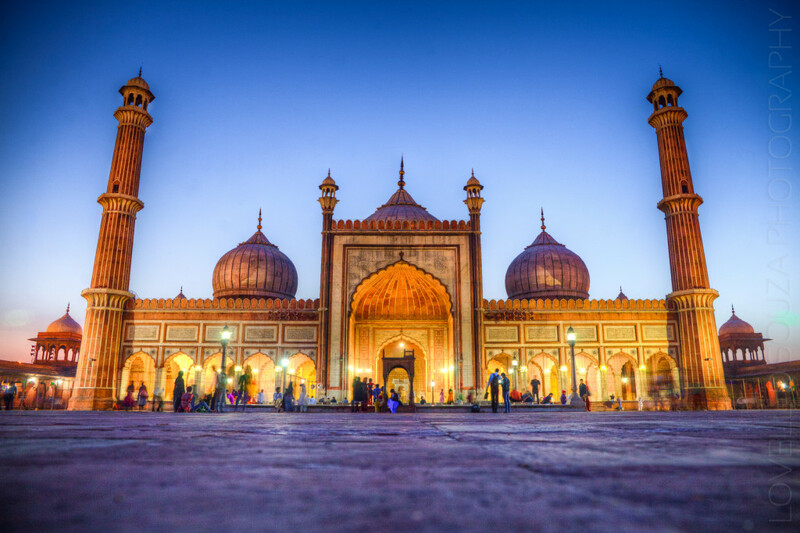 Therefore, the Jama Masjid is definitely a place worth visiting during your trip to Delhi. Shah Jahan the Mughal Emperor commenced the construction of the magnificent mosque in year 1644 AD. The foundation stone was laid by the emperor in Shahjahanabad (Old Delhi) . The accomplishments of this shrine took the collective endeavour of more than 5000 workers. The Jama Masjid was completed by 1656 AD. Shah Jahan invite Imam Bukhari from Bukhara (currently Uzbekistan to inaugurate the Mosque on 23 July 1656). The mosque was originally named Masjid-e-Jahan Numa meaning the Mosque representing the world. Even at the time the cost of construction was one million rupees. The Red Fort is just in front of the mosque, so during the construction special care was taken to build the pulpit of the mosque above the royal throne (in the fort). 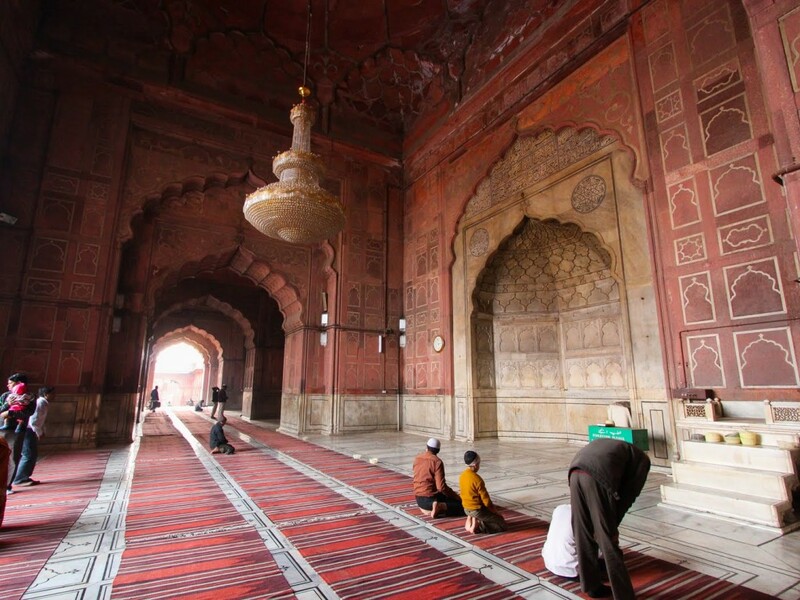 The mosque was constructed under the supervision of Saadullah Khan, the wazir during Shah Jahan rule. Top experts in the field of construction, best chiselers, sculptors, engineers, best calligraphers and eminent artisans of the world assisted by once 5000 labourers took part in the construction of the magnificent mosque. The mosque is built on a red sandstone porch,which is about 30 ft from the ground level and spreads over an area of 1200 square metres. The mosque has three gateway, four angle tower,a dome flanked by two minarets each standing 40 m high (having 130 stairs) and is constructed of alternate vertical strips of red sandstone and white marble. The minarets consists of fine storeys, each with a protruding balcony. The adjoining edifices are covered with sacred calligraphies. The 408 sq feet courtyard can accommodate more than 25000 worshippers. The mosque measures around 80 m in length and 27m in width. The prayer hall is 61 m long and 27.5 m broad. It is made up of high pointed arches. The floor of the mosque is white and black ornamented to give it a look like a Muslim prayer mat. The main square of the mosque can be reached through any of the three gateways. The northern gateway has 39 steps, southern side with 33 steps; and eastern gate has 35 steps. The open areas of the shrine are enclosed with walls and each feature a tall entrance in the middle. All the boundaries of the shrine are waist high and coated with marble. The burial chamber of Sultan Ahmed Shah can be reached through the eastern gateway which is another tourist attraction. Emperor Shah Jahan wished that a unique mosque like Jama Masjid, should have an equally matchless Imam. 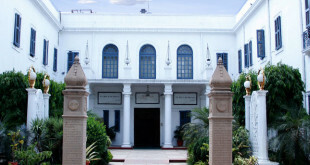 Therefore, he called Syed Abdul Gafoor as it was the centre of great learning at arts of that time. Shah Jahan appointed him s the Imam and conferred upon him title of Shahi Imam. From that day the Imamate of Jama Masjid has been continuing in the family from generation to generation. The son of an Imam succeeds him. In 2014, the Shahi Imam Syed Bukhari appoint his son Shaban Bukhari as his successor to the exalted post of the Shahi Imam. The major features of the mosque that make it a must see place include the adornments of the interior areas the arcs, the designing of the prayer hall and much more of the architecture. 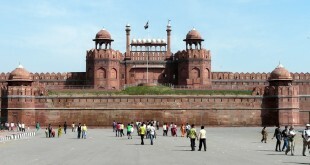 One major attraction is the different views of Red Fort from the mosque. Above all three the devotees get attraction towards the cabinet located in the north gate which holds a collection of relics of Prophet Mohammad, the Quran written on deerskin, a red beard -hair of the Prophet, his sandals and his footprints implanted in a marble block. 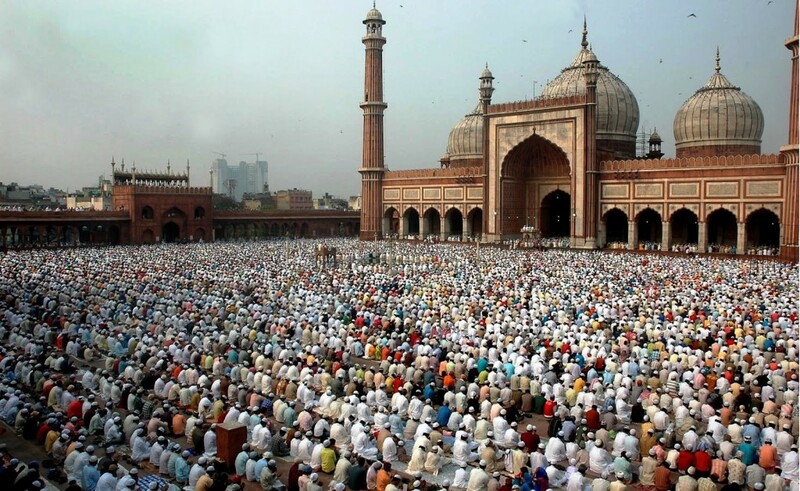 Jama Masjid is located at the Netaji Subhash Marg, in the capital city of India-Delhi. The nearest Metro Station is the Chawri Bazaar. The Old Delhi railway station is the nearest station from the mosque. The Inter State Bus Terminal is the closest bus station. Indira Gandhi International is located around 26 km away from the place. The mosque is easily accessible from any point of the city or country due to its location. The mosque is open all days but the eastern entrance remains open only on Fridays. There is no entry fee to enter the mosque. You will just have to pay Rs.5 to the shore minder to keep your shoes safe. 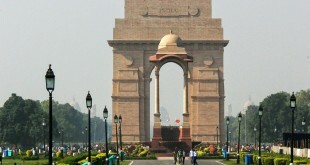 A charge of Rs.200 is applicable per camera and you will have to buy a ticket of Rs.100 if you wish to climb the tower. Nice Religious Place to visit.